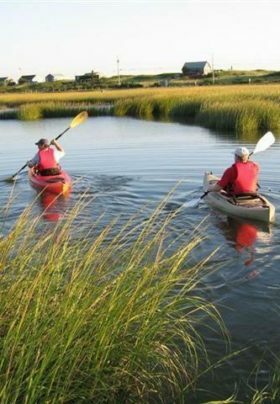 For outdoor enthusiasts and adventurers, Cape Cod offers an array of activities. From hiking and biking to fishing – and everything in between – you’ll be sure to find something fun to do during your stay! Cape Cod is an exceptional area for biking. One of our favorite trips is along the Cape Cod Rail Trail. 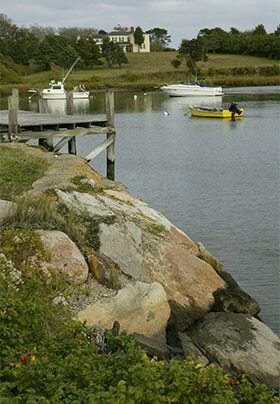 A number of boat rides depart from the waters surrounding Chatham. You can take a relaxing cruise around Pleasant Bay, visit South Beach, or take a sunset cruise. You can also hire your own boat. For more information, please see our brochure area in the Main House during your visit. Rip Ryder offers seal cruises out of Monomoy Wildlife Refuge; they can drop you off at South Beach for a leisurely afternoon. Monomoy Island Excursions offers several cruises around Monomoy Island with commentary about the island’s local history and folklore. If you want to explore the Cape Cod Canal and learn its history and see sites along the way, check out Hy-Line Cruises. You will find 2-3 hour canal cruises, as well as sunset cruises, and special music-themed excursions. For something different, but classically “Cape Cod,” Chatham Classic Yacht Charters will take you for a sea journey aboard one of their restored old world schooners. Venture out to Orleans and visit the Goose Hummock, which specializes in kayaking and sports fishing. Take a kayak lesson or tour – or rent your own kayak! The waters surrounding Chatham offer some of the best striped bass fishing in the world and no permit is required. Fresh water ponds are also excellent for fishing; however, a license is required from the town clerk in the town office on Main Street. Numerous fishing expeditions depart from Chatham and surrounding areas. For more information, please see our brochure area in the Main House during your visit. Charter a fishing boat and go after what the Cape is known for: striped bass, bluefish, and fluke. Rockin’ Robin fishing charters offers fishing charters, sunset cruises, and sightseeing tours on Cape Cod Bay. 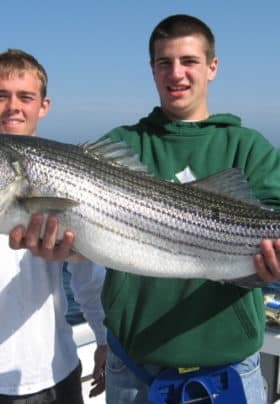 First Line Fishing Travel offers anglers a wide array of charter choices, including offshore tuna trips; inshore striped bass and bluefish trips; kayak and flat boat rentals; light tackle; and beach surf casting. If you don’t want to charter a fishing boat, join Hy-Line Cruises on their party boat, where you can go bottom fishing for scup and blackfish – or on the Captain’s Choice excursion, where you will find bluefish, stripers, and fluke. In addition to more traditional inshore fishing, Capeshores Charters also specializes in cod and tuna fishing. Though these charters are more expensive due to the distance traveled, the reward is great! With Stick’n Rudder Aero Tours, you can take scenic flights over Cape Cod or explore the surrounding lakes and waterways on a floatplane. For the more adventurous, aerobatic flights are also available. Stick’n Rudder Aero Tours is based at Chatham Airport. Chatham has lovely shops, galleries, and antique stores to explore. If this does not satisfy your shopping appetite, Route 6A offers the largest concentration of antique shops, while Wellfleet and Provincetown offer numerous art galleries. The nearest mall is located in Hyannis and features several major department stores. Located about 15 minutes from the inn, Sol Spa offers an array of services from facials and manicures to relaxing massages. They specialize in couples’ massages and can come to the inn (space permitting) to work their magic! Turn left out of the inn’s driveway; left at the traffic lights; left on Stony Hill Road; and right at the stop sign onto Crowell Road. The high school is about 1/4 of a mile on the left. Turn right out of the inn’s driveway and follow for approximately 1/2 mile. Turn right onto Depot Road and the courts will be on your right. If you would like a short hike within easy reach of the inn, these Chatham trails will appeal to you. Begin walking from the second parking lot located at Chatham’s Harding’s Beach and walk east along a sand road toward the lighthouse. Numbered markers indicate points of interest and are keyed to the Harding’s Beach trail guide. The trail guide is available at the Chatham Chamber of Commerce Information Booth, the foundation’s Mayo House, or from the attendant at the booth at the entrance to the Harding’s Beach parking area. Please return the trail guide after your walk. The walk is about 45 minutes long and covers approximately 7.64 acres. From the main entrance of the inn, turn left and drive north on Route 28 towards Orleans for 1.7 miles. Just beyond Rowland Drive on your right, turn left into the parking area before you reach a creek running under the road. The trail proceeds along the creek and marsh. At the end of the trail, you will turn left and proceed to the parking area via the ridge path. Be advised that the ridge is somewhat difficult to walk. The walk is about 30 minutes long and covers approximately 1.2 acres. Located off Route 28 and George Ryder Road. Proceed south on George Ryder Road and take the first right onto Harold’s Lane. Take the first right off Harold’s Lane onto an unmarked short paved road, which will turn into a dirt road. Park at the end of the pavement. Walk 45 steps along the dirt road. The entrance to the walk will be on your left, opposite Beehive and Cranberry Bog. The walk is about 10 minutes long and covers approximately 2.5 acres. At the bottom of the hill on the left side of the road are two short trails leading to the old ice pond. Many water birds are generally seen in this area. On the right side of the road near a telephone pole and alongside a narrow stream is a short walk featuring white cedar trees. 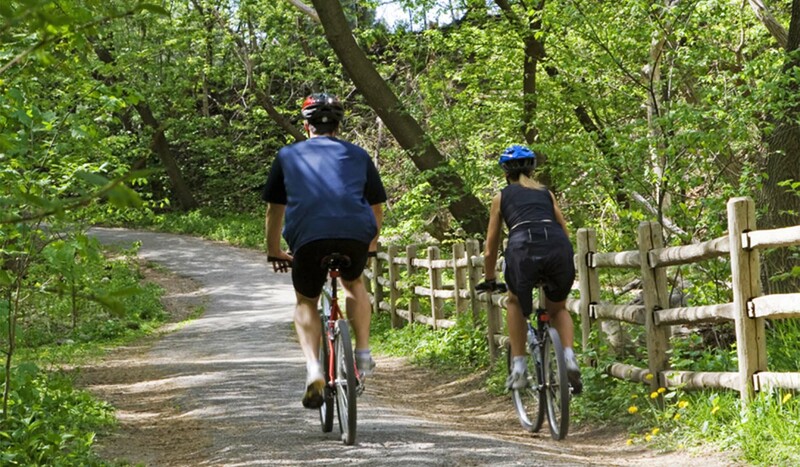 It also leads to other trails in and around the cedar swamp, which is primarily owned by the Town of Chatham.